Perhaps the iPad Air's biggest selling point is its price: it starts at $499 for the 64GB Wi-Fi model, or you can get 256GB for $649; cellular versions are available at $130 premiums. This isn't much of a price boost over the existing $329 entry-level iPad, but is still a significant discount compared to the iPad Pros which start at $799. Though prospective buyers will need to consider total price after calculating the cost of the Smart Keyboard ($159) and Apple Pencil ($99), if those accessories are desired. 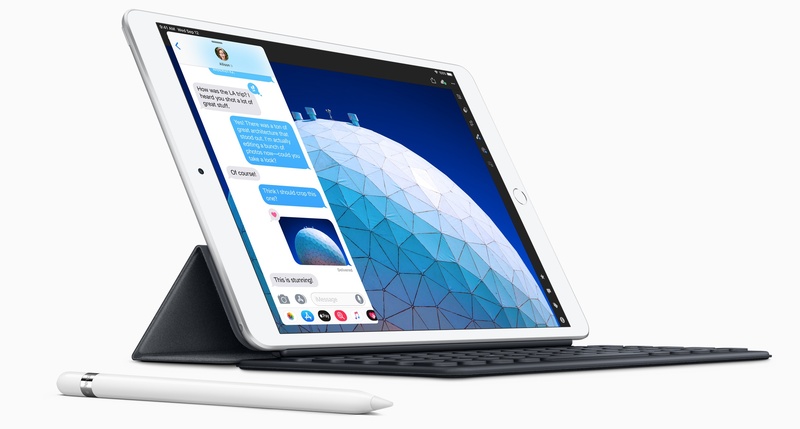 While the iPad Air is in many ways a repackaged version of the 10.5" iPad Pro – minus ProMotion, and with only dual speakers versus the Pro's quad and 500 nits of display brightness versus 600 – the fifth-generation iPad mini is a major step forward for a product that had long felt entirely forgotten. Before now the iPad mini hadn't been updated since 2015, and with the increasing popularity of larger iPhones, many suspected the device simply didn't have a big enough market to merit future updates. However, four years following the iPad mini 4, Apple has finally released its successor. The new iPad mini surprisingly bears very similar specs to the iPad Air. The outside may not have changed much – there's still the same 7.9" display, the same-sized bezels, and the same home button with Touch ID – but Apple has made significant internal upgrades that breathe new life into the device. 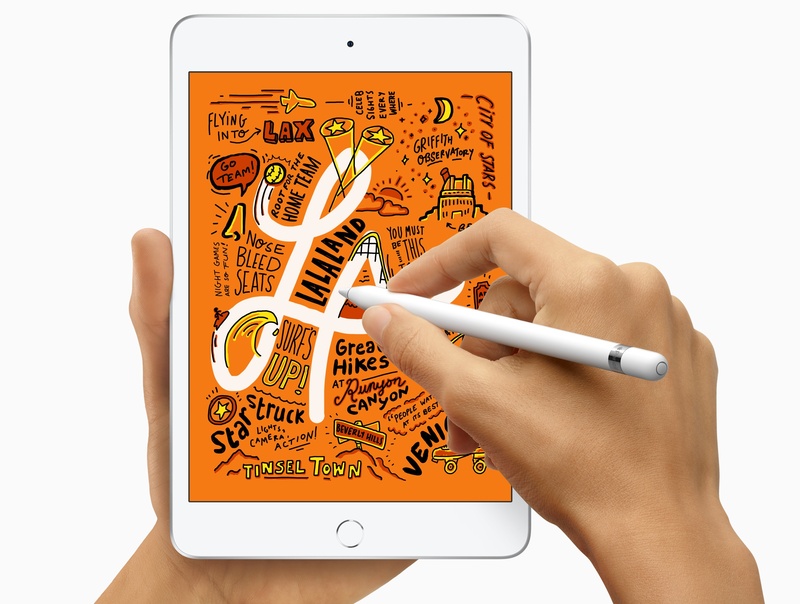 The iPad mini now supports the Apple Pencil for the first time ever, making it the smallest device to be Pencil-compatible. 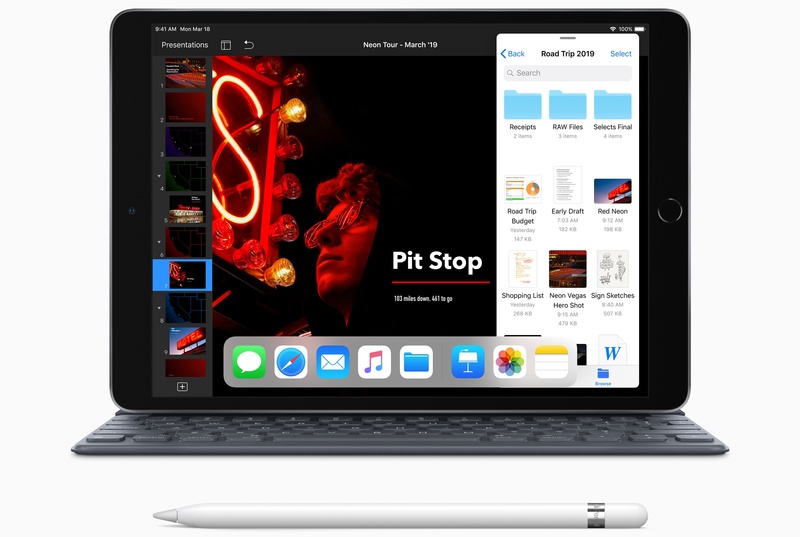 Like the iPad Air, the mini only supports the first-generation Pencil, not the second, but thanks to its extreme portability, the new mini combined with the Pencil can be a powerful pairing as a digital notebook. Also like the iPad Air, the iPad mini now boasts an A12 chip, which is an enormous upgrade over the iPad mini 4's A8. The device also includes the same 8MP rear camera and 7MP FaceTime HD camera found in the iPad Air, and its display supports True Tone and P3 wide color. Amazingly, despite the major internal upgrades it brings, the new iPad mini hits the same entry price point as its predecessor: it's available in a 64GB Wi-Fi model for $399, a 256GB model for $549, and cellular options are a $130 premium. While the iPad mini 4 came with 128GB of storage for $399, the smaller storage option of the new entry-level is more than made up for by the host of modern improvements to the device. Both the iPad Air and iPad mini are available in three colors – silver, space gray, and gold – and can be ordered right now from Apple's online store. Apple's iPad line is now more diverse and powerful than ever before. 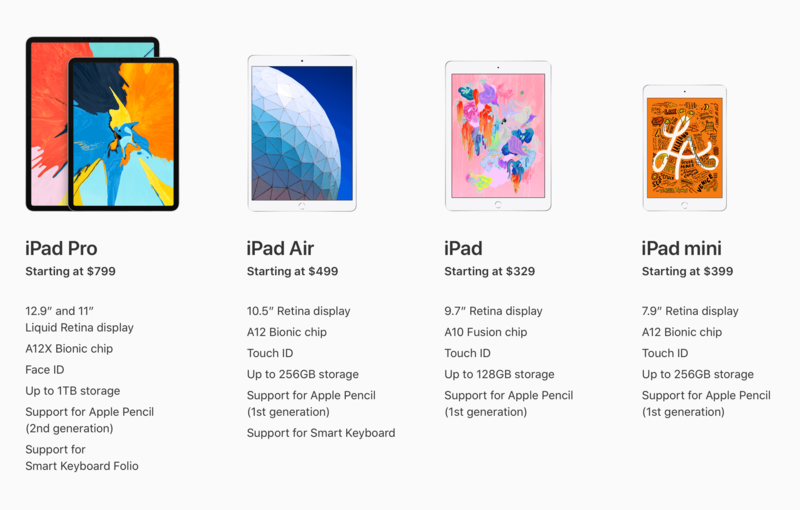 On the low end, the entry-level iPad remains $329, but moving up from there you can get a modern iPad mini or iPad Air for $399 and $499, respectively, before making the leap to the $799 and up iPad Pros. Notably, every iPad in Apple's lineup now supports the Apple Pencil. Alongside these new devices, Apple has released a Smart Cover and Leather Smart Cover for the iPad Air, and a Smart Cover for the iPad mini. For customers with a 12.9" iPad Pro, there's also a new color option available for the device's Smart Folio: Pink Sand. Normally the launch of new iPad and iPad mini models would merit stage time at an Apple event, especially since Apple has already confirmed an event set for March 25. These products debuting via press releases serves as strong evidence that the March 25 event will, as suspected, host no hardware releases at all, and instead focus on Apple's forthcoming video and news services.